At TS Freight, we provide customers with efficient and timely Air Freight and Ocean Freight services that enable hassle-free import from China to Philippines. Our transport service is supported by top freight carriers between China and Philippines, which enables us to complete our clients’ transport requests in the fastest possible time. It also allows us to offer you international transport packages at the best prices. Our well-connected system of shipping partners can import your goods from China via sea or air to any major city in the Philippines, including Manila, Quezon City, Cebu City, Pasig, Davao City, Caloocan, Taguig etc. With the help of our vast network we import goods from all major Chinese cities, including Hong Kong, Ningbo, Shenzhen, Hangzhou, Shanghai, Tianjin, Guangzhou and others. Over 10 years of experience in the international shipping industry has given us great insight into the needs of our clients and helped us to streamline the delivery process. Our logistics processes are constantly improving with our experience and we ensure that every step of the cargo import process is managed by expert personnel. We offer comprehensive and hassle-free services starting from pickup arrangements, inventory and handling, customs processes and even deliveries to your warehouse. All customs duties and documentation are taken care of by us in our door to door delivery services. 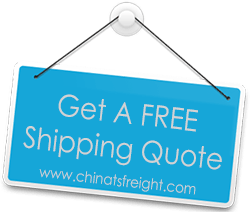 If you choose to have us handle your cargo freight shipping from China to Philippines, you can rest assured that your consignments will be in good hands. We always adhere to our professional commitment to facilitate import with as little trouble to our clients, leaving them free to take care of other important aspects of their business.